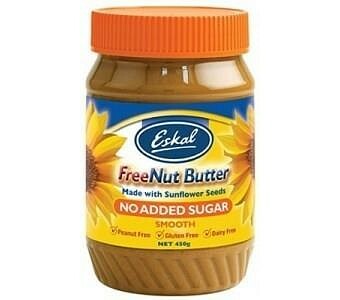 Eskal Freenut Butter Smooth with No Added Sugar is a great replacement to actual peanut butter. So for those who have peanut allergies, Eskal Freenut Butter comes to your rescue as you can enjoy this smooth spread that has a similar taste to peanut butter, but isn't even close to it. Made with crushed roasted sunflower seeds, the whole family can enjoy Eskal Freenut Butter any time as it spreads nicely on bread, cookies, and crackers. 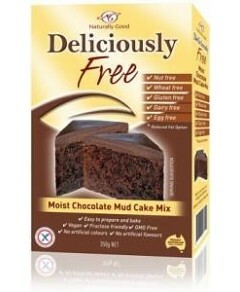 Ingredients: Sunflower Seed (85% Minimum), Salt.